UPDATE: Thanks to your incredible generosity, we have surpassed our goal by raising $14,050 toward launching the Lakewood Tool Box. We look forward to making our tool lending library a reality for our community this spring! Stay tuned. We’re hiring! View the Lakewood Tool Box Coordinator job posting. LakewoodAlive’s Housing Outreach Program proudly announces plans to implement the Lakewood Tool Box – a tool lending library that will offer community members an affordable and educational option for borrowing tools that are essential for completing home repairs to ensure we live in healthy and safe homes. The Lakewood Tool Box is a program that will provide home improvement and repair tools for members of the community. What exactly is the Lakewood Tool Box? The Lakewood Tool Box is a program that will provide home improvement and repair tools for members of the community. The program is designed to offer a sliding scale of membership fee options that will enable people of all income levels to participate. This access will allow residents to make health, safety and cosmetic improvements, not only making their residence a safer place to call home, but helping to maintain or improve their housing value, which benefits both the resident and the entire neighborhood. The Lakewood Tool Box will operate as a program that offers home maintenance instructional opportunities, fosters friendships through project collaboration and builds community through our shared time and talents in taking care of the beautiful old homes we love so dearly. Where will it be located? 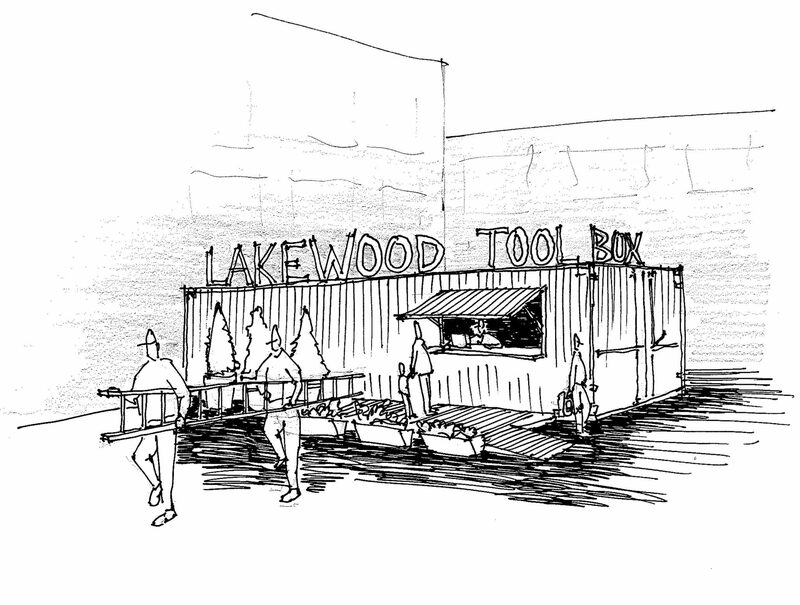 The Lakewood Tool Box will be housed in a large shipping container situated on the grounds of the Lake Erie Building in the Historic Birdtown Neighborhood. For more information regarding the Lakewood Tool Box, contact Allison Urbanek at 216-521-0655 or aurbanek@lakewoodalive.org. LakewoodAlive’s Housing Outreach Program offers a one-stop place for residents, both owner occupants and renters, to gain access to services so they are able to live in healthy and safe housing. The services connect residents with resources to maintain and sustain the community’s historic housing stock and ensure healthy and safe living environments. Through this program we foster and sustain vibrant neighborhoods, one home at a time.